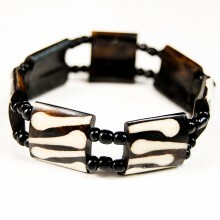 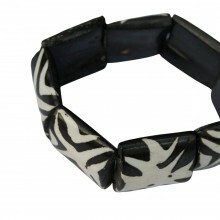 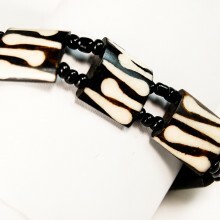 Purchase this unique African bone bracelet. 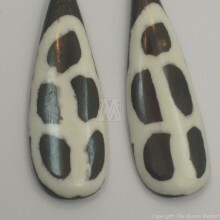 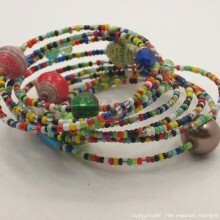 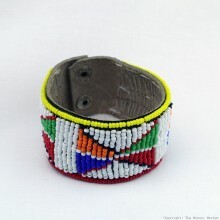 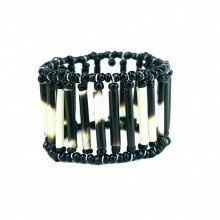 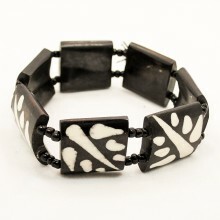 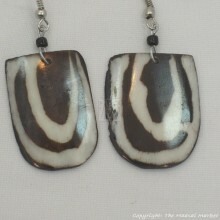 It was handmade by women in Kenya using cow bones and maasai beads. 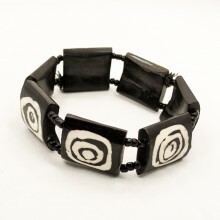 The big square beads are hand carved out of cow bone then batiked with a unique mud cloth print. 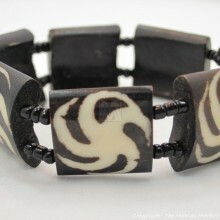 Batik is a time-consuming process. 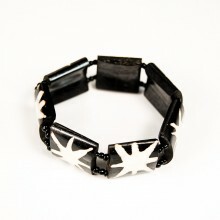 First wax is applied to the bones in the desired pattern. 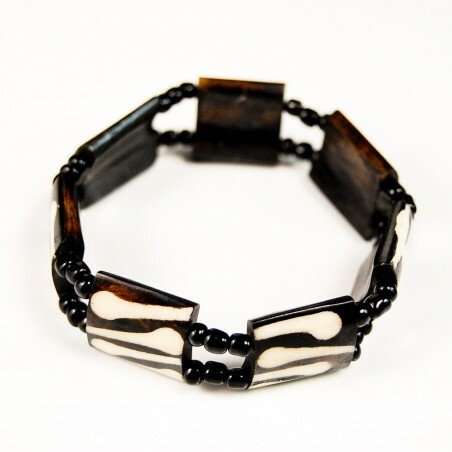 The bones are then dipped in dye, parts that are waxed don't take the dye. 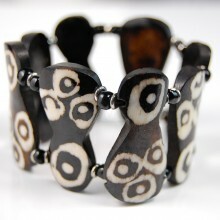 Once the wax is removed, a print like the one on these bracelets is produced. 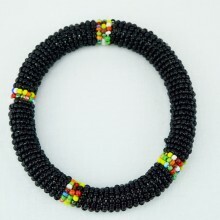 This bracelet is stretchy and will fit most wrists. 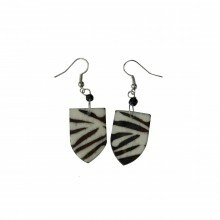 We have a few of them so the one that you will get might look slightly different.